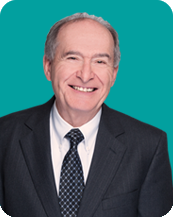 Dr. Bernie Dolansky has had a distinguished dental career including service as President of: the Ottawa Dental Society, the Ontario Dental Association, and the Canadian Dental Association as well as having been a director of the Ash Temple companies and a consultant to Henry Schein Canada. He has also served on numerous professional and volunteer boards and has been awarded Honorary Membership in both the CDA and the ODA. Bernie practiced and taught endodontics for 37 years during which he transitioned in three partners and numerous associates. Since 1999 he has assisted dentists with practice evaluations, purchase and sales, associateships, and partnerships as well as lecturing and writing on dental practice transitions.